We had a three day weekend! Yeah! Yippee! Hooray! Do you get the idea that it was great? I catch a lot of flack from Hubby’s friends from time to time. Usually the comment is something like ” Stop making him work so hard.” I feel like I need to let you all know that I am not a slave driver… well not a slave driver all the time… Okay… I would try to tell you that he likes doing projects, but that would be an overstatement most of the time. He does go along with my wild ideas, but he would much rather be in his recliner. I let the poor guy have the weekend off. Mostly. We only did a few projects this weekend and they were just wrapping up other projects that were already started. I even took a little time for myself. My Social Planner and I got pedicures in Huntsville. What a treat. Hubby did his own craft project this week and I cannot wait to show and tell his handiwork. He didn’t want to tell me what he was doing because I would blog about it. I love it! The computer is mightier than the sword. 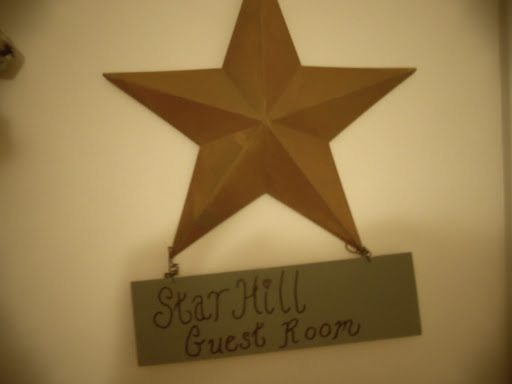 Star Hill is always open for guests. Let me repeat, Star Hill is always open for guests. We love having our friends and family come visit us. Bring a swimsuit and you should be good to go. We even keep spare toothbrushes. Give us a call an hour before you get there and we will probably have food ready when you arrive. That being said I do have some friends who feel like they need an invitation. Hubby called his family and we posted on Facebook that we were ready for guests. My favorite twin nephews came Sunday to visit. Of all my twin nephews, I definitely like these two the best. Apparently they read my blog, so I will have to be very careful what I say about them. Peat and Repeat arrived along with Repeat’s girlfriend, Amber. Hubby’s two sisters and brother-in-law spent the day with us too. 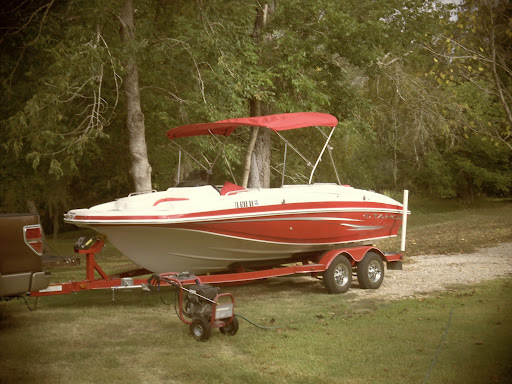 Hubby’s pride and joy- Big Red came out of hibernation. She even got power washed so that she would be beautiful. 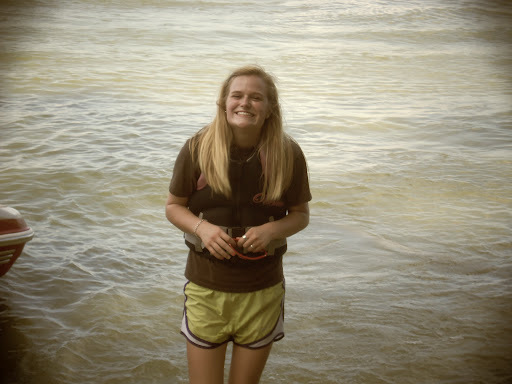 We are currently babysitting an awesome jet ski so that got to go out on the lake with us. The kids had a ball with the jet ski. They all learned to ride it without any problems. 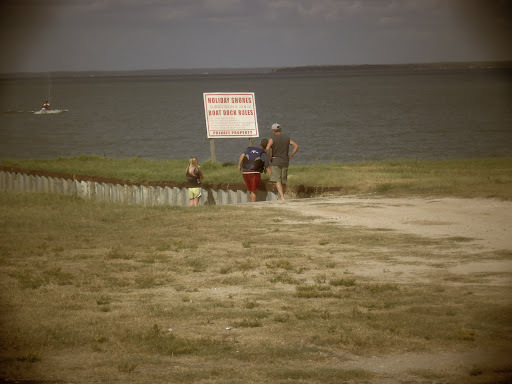 If only we could convince them that there are no alligators in the part of the lake near our house. There really are no alligators in our part of lake, guys. 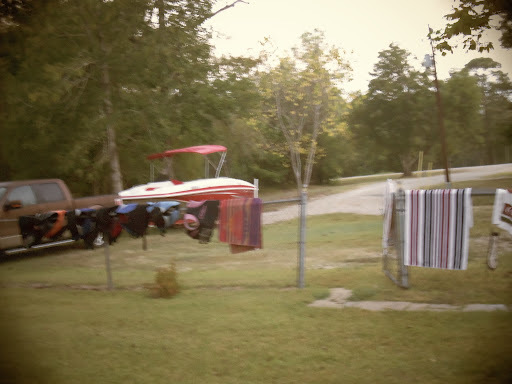 We took the boat to a sandy beach near the house. It is usually deserted, but this was a holiday weekend. We had company at the beach. 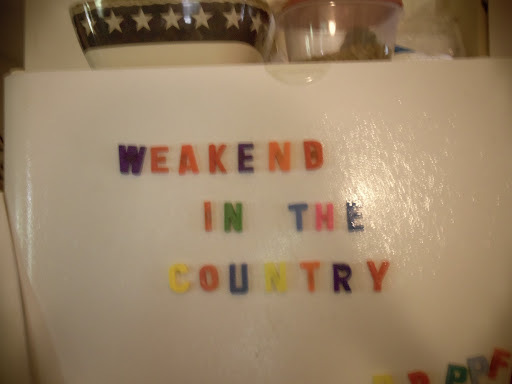 There are a few things that we usually do when the family comes over; we have a bunch of magnetic letters on our fridge. I try to have a nice welcoming note on the fridge when people come to visit. One of my nephews (Peat I believe!) Loves to change my note. 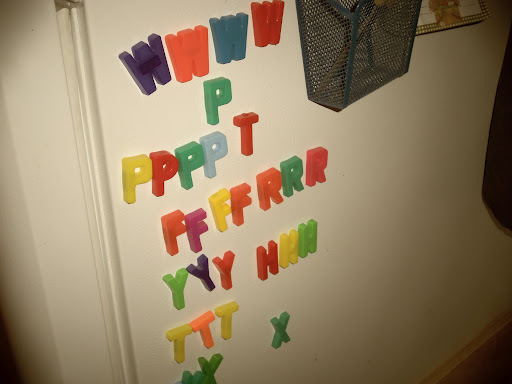 We keep the extra letters on the side of the fridge so that others can leave a note. My nice note: A WEEKEND IN THE COUNTRY became WEAKEND IN THE COUNTRY. Very funny. The other thing that usually occurs in a mean game of Last Word. I an not sure that we play the game according to the rules in the box, but our version is loud, a little rude and very funny. 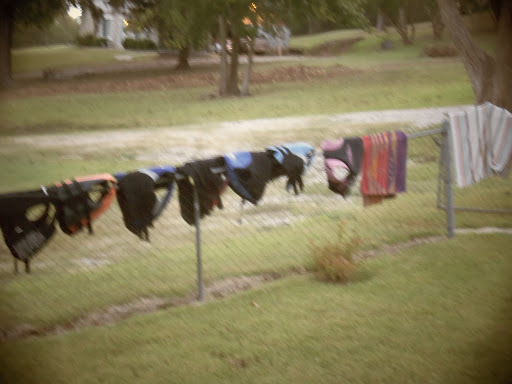 We knew it was a great day when we looked at our fence. We would love to have you come and visit. Really.